Two of my very favorite things happen during the month of November- Thanksgiving and Tessa’s birthday! Tessa turned 7 on November 7 this year and we really enjoyed loving on her all day long (not that we don’t do it every other second of every day because she is the baby of our family). I remember thinking on that day seven short years ago, that I may just have her in the car on the way to the hospital and was scared out of my mind of that little fact. It didn’t end up that way (thank goodness! ), but she came to the world about 45 minutes after arriving at the hospital, post-epidural (also, thank goodness!). 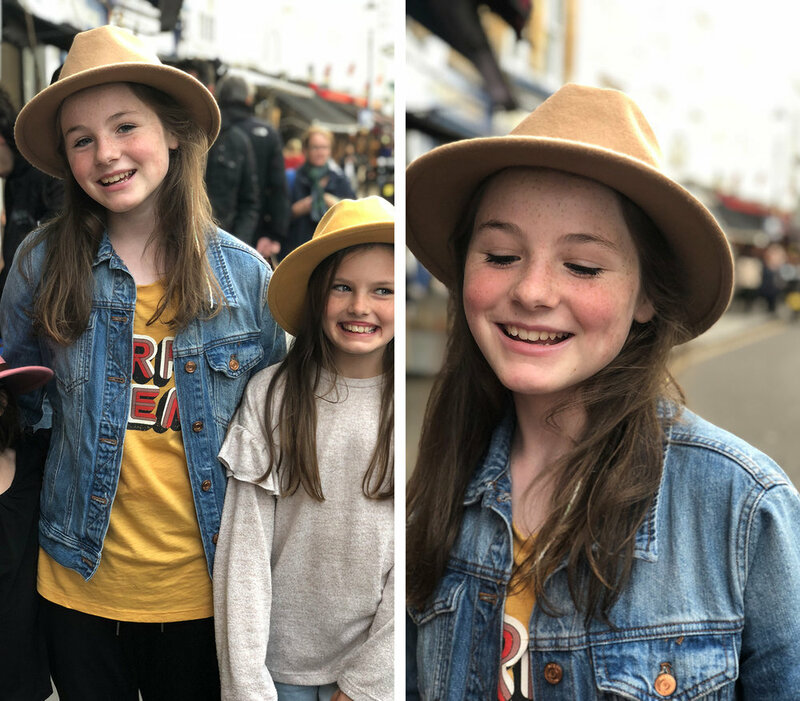 We’ve all adored her from the very start and even though she is by far the sassiest kid ever, we still cannot get enough of her cute face and hilarious Tessa-isms. Tessa’s list of things she wanted to do on her birthday included Taylor’s famous french toast for breakfast, a picnic on the beach for lunch, tomato soup for dinner, playing Playmobil with her sisters and eating cake! None of the above was too much to ask, so we checked everything off of the list! We ate schnitzel and falafel sandwiches for lunch on the beach while playing in the warm sand (loving this warm winter weather!!). Because everyone except for Tessa decided to not eat sugar for the month, I took Tessa to a cupcake shop and let her pick out her favorite flavor- cookies and cream- which we brought home and made sure to sing as loud as our sugar-free voices would allow. Love her and this smile so much and we have furthermore outlawed the talk of her getting any older. Tessa has loved reading lately, so we made a quick pit stop at the bookstore on the way to get her cupcake and rustled through the shelves to find the extremely minimal selection of English books and bought a couple of them for her gifts. Another of our family’s favorite holidays is Thanksgiving. One of the hardest things about living abroad is missing the feeling in the air during these times of year. I miss the turkeys being sold, planning and searching for the best new recipes I’d like to try, those last-minute runs to the store for missing ingredients, mashed potatoes, gravy, and most of all…pie! But, this year we were looking forward to having the Becks, our friends from London, visit on Thanksgiving Day. There is nothing quite like seeing familiar faces when you live so far from friends and family and these two faces are some of our favorites. We were so glad our paths crossed again, and especially on this day. Because we live in an apartment that doesn’t have a fully stocked kitchen, and has a tiiiiiny oven, plus the general lack of any traditional foods we love on the stores shelves during this time of year, we decided to make it an Israeli Thanksgiving! 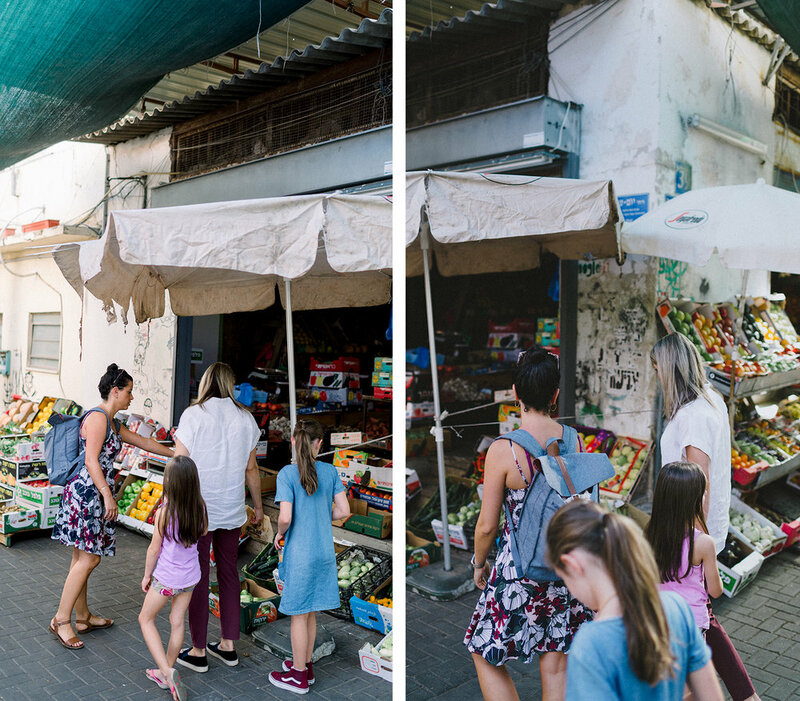 We took the Becks to one of our favorite places in Tel Aviv, Carmel Market! I had done a bit of research beforehand to make sure we collected the very best of what we wanted to buy. We walked through the damp streets taking in the wildness of this place. I love it. This hummus place (above and below) was the highest rated hummus in the market. And, can you get over how awesome the colors and the windows are on the store?! We picked up some pita (some of the best we’ve had) and hummus (also delicious) here and then went to find some turkey…shawarma. After stopping at a couple of different places that didn’t understand why we just wanted meat and nothing else, we finally found a place willing to sell us some of just that. We also nabbed some delicious dried mangoes and pineapples as well as ingredients for a Greek salad and some of their delicious local strawberries to round out our dinner. We brought all of our dinner back here to our terrace and ate to our heart’s content. Different from a traditional turkey dinner, but full of fun memories and still totally yummy. Ryan also picked up some baklava, but seeing as we were still off sugar (and maybe don’t love the pastry), it took the place of “pie” that night. All food aside, we had the best time catching up with the Becks and seriously love their company. Can’t wait to see them again!! As we reflect on the many things we have been given at this time of year, its hard to grasp the magnitude of the innumerable blessings in our lives. 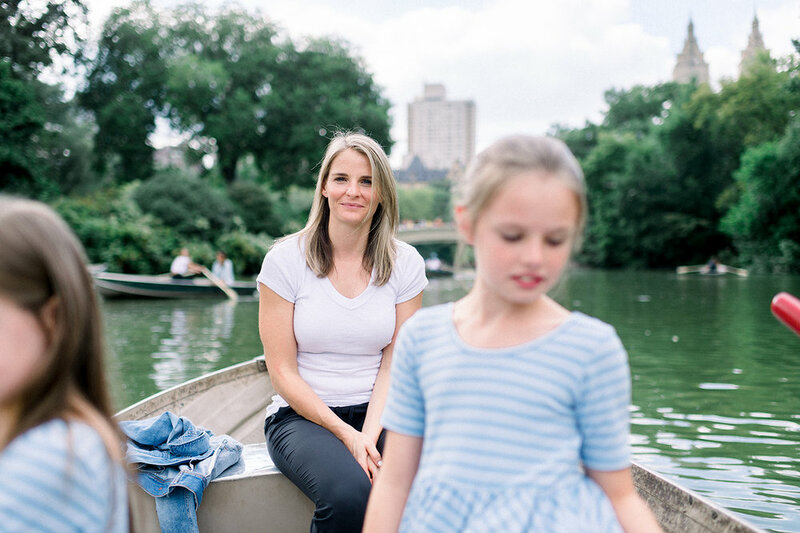 Some of the things we are most grateful for is our family, the gospel, friends, this land that we get to call home for a while, our health and the adventures and lessons that lie ahead. It has been an adjustment to have church on Saturdays now instead of Sundays. At first, I thought I wouldn’t like it, but I’ve totally changed my mind. Its pretty great to have a “day off” after the Sabbath before heading back into the work week. So, we have been really loving having Sundays all to ourselves while we live here! 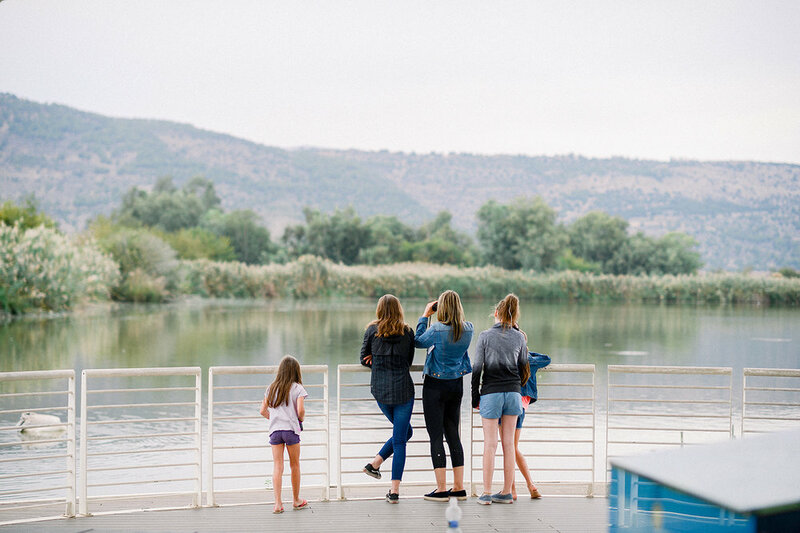 For our first weekend adventure, we decided to head to the Sea of Galilee, two hours northeast of Tel Aviv. We headed out right after sacrament meeting so we could maximize our time there. 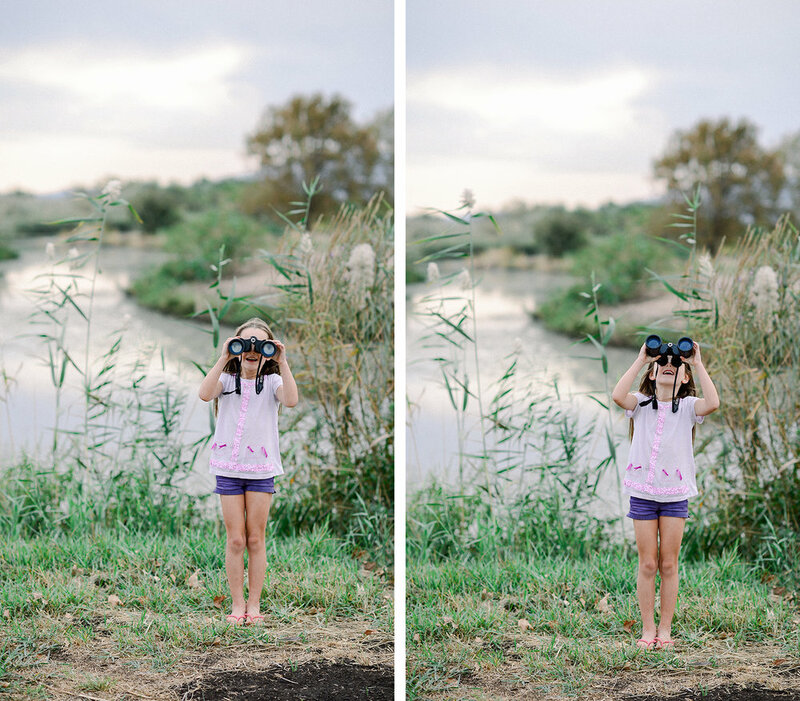 Brian found the cutest cabins on a farm, called Vered Hagalil (Hagalil means “the Galilee”) that we checked into and let the girls run around their “backyard” and play on their hammock for a bit. Then, back to the car for a quick drive over to Capernaum, “The Town of Jesus”. Jesus had been rejected in his own Nazareth and came to reside here in this fishing village on the northern side of the Sea of Galilee. He only lived here for about one year, but it is where He began His mission and chose 5 of His disciples (11 were from Galilee and only Judas Iscariot was not). Needless to say, it is an extremely important part of His life and where most of the chapters in the New Testament are based. All thats left of the village of Capernaum is some ruins, and it appears much smaller than it would have been in Jesus’s time. In fact, there were about 15 fishing villages off of the Sea of Galilee back then, but the only city that has flourished is Tiberias since then. Below is our first up-close look at the sea, which we realized is actually a huge lake :). It is shaped like a harp, so the locals call it Lake Kinneret (translates to harp). We didn’t realize they only take cash upon entry and we left all of ours back at the hotel. We were so sad to miss this special place and started to walk away, but the guy at the front office stopped us and told us to just go on in with no charge. It was such a nice gesture and we were so grateful. After seeing Capernaum, we wanted to somehow put our toes in the water. So we drove around and found a pretty trail that led along the water and stopped at a beach area. We all got to to touch the water where so many of Jesus’s miracles were performed and the girls then loved playing in it and collecting little shells for a while. This is one of the cabins we stayed in. The farm village that it is in was huge and so peaceful. The girls loved running around and playing outside and then rinsing off in the jacuzzi inside! Vered Hagalil sat right north of the Mt. of Beatitudes, so we ventured out to explore all over that area. It was seriously so peaceful up there. This was right beyond where we stayed and overlooking the Sea of Galilee. They had these beautiful and strange-looking white plants all over the hill as well as a Carmelite monastery. It was so quiet and peaceful- we could totally understand why Jesus would come up here to relax or to gather his thoughts and then deliver such powerful sermons. After Brian and I walked around for a long time, we came upon this area that had a ton of what appeared to be cow bones. They were really old! We knew the girls would totally get a kick out of seeing these huge bones, so we decided to get them up early the next morning to join us on our walk. The only people we could wrangle out of bed at 6:30 am were Lauren and Tessa! I’m so glad they came along (even Tessa still in her pajamas!) and they were so excited to find the bones we told them about the night before. We went on a really long walk all over the hillsides and then back up to our cabins to eat breakfast altogether. 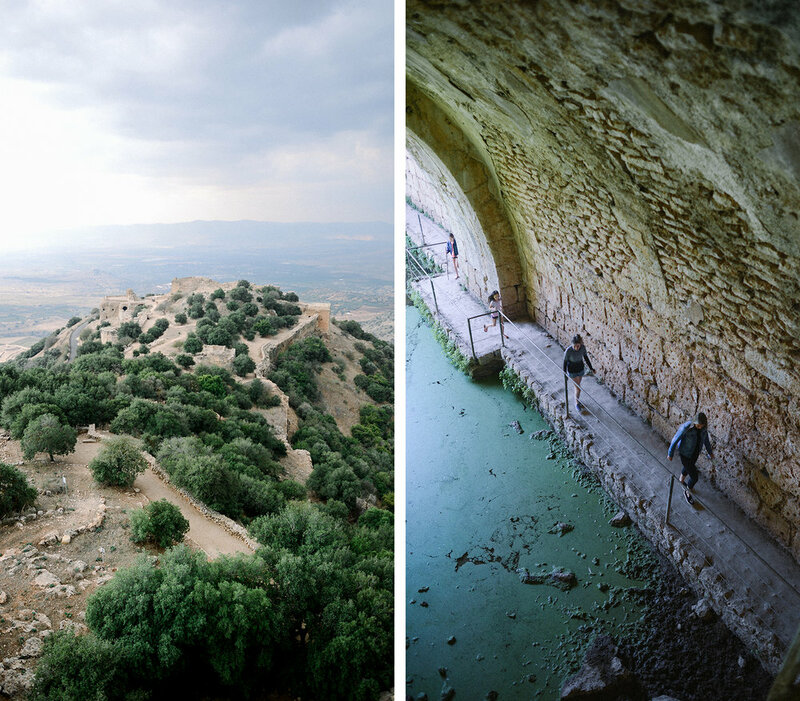 After leaving Galilee, we drove up to the Golan Heights to make a stop at the famous Nimrod’s Fortress on Mt. Hermon. The fortress is a medieval castle that overlooks all of the Golan Heights and was built with the purpose of guarding a major access route to Damascus against armies coming from the west. It was huge and had a ton of different view points as well as things to explore inside. Its always amazing to learn about history that you don’t know much about and to discover places that are so old- built in 1229! The area is under Israeli occupation since 1967, together with the Golan Heights, but the international community sees it as Syrian territory. And when you’re this close to Syria…you might as well get a better look! We drove over to Mt. Bental, which has great panoramic views of the Golan and even Syria. It is also the sight of a battle fought during Israel’s war for the Golan. There are bunkers open to visitors at the very top where you can see really far in all directions…it was kind of cool to be able to look right into Syria! Just beyond this farmland below is Syria. Last stop for the weekend was Lake Hula, where an estimated 500 million birds migrate from all over Europe, Africa and Asia. The birds stop over for about a month before they head to their final warm destinations for the winter. We didn’t see a ton of different birds (I think we probably just missed the high season), but we rented a golf cart and some binoculars and tried our hardest to see as much wildlife as we could. Tessa was definitely the most excited bird watcher. They have you take identification pamphlets so you can figure out exactly what you’re seeing and she loved flipping through and matching the birds with their name and picture. Our first road trip in Israel included a lot of driving and seeing things we’ve read about in the scriptures our whole lives. Can’t wait to see more and more of this amazing country! 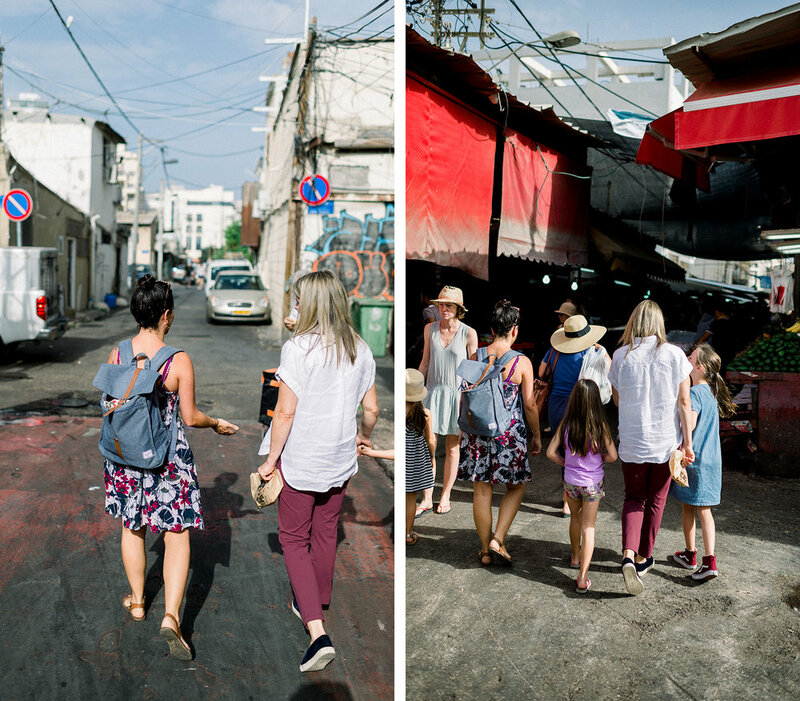 When we stepped off the airplane in Tel Aviv, we immediately felt the warm air rush over us. It was pretty cold in London, so it felt nice to shed our winter jackets right out of the gate! We were met by a service that quickly ushered us through customs, helped us collect all of our bags and got us to our van that would take us into the city. We rented an airbnb for our first couple of weeks after trying and trying to find a permanent place from NYC, but kept coming up empty-handed. 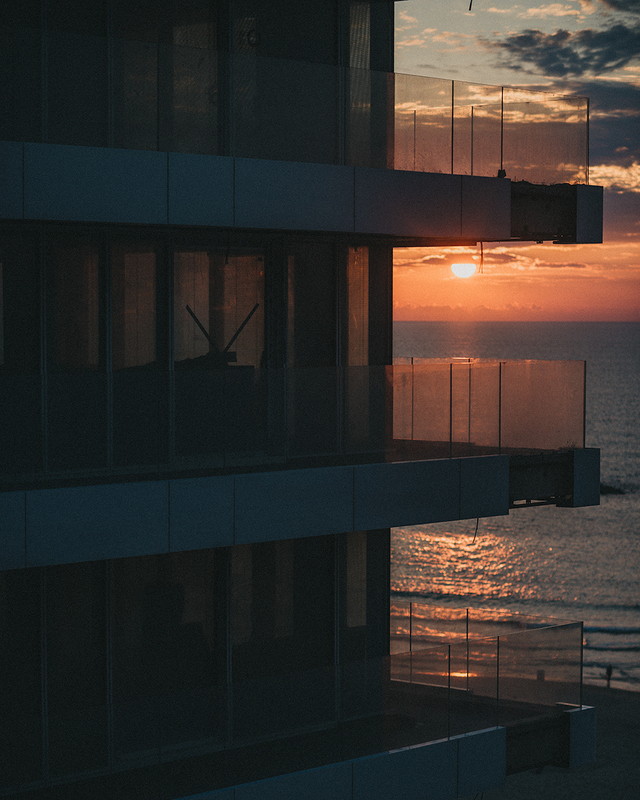 It was near the “Lincoln Center of Tel Aviv” and about a 15 minute walk to the beach. Most of the buildings here were built in the 60’s and have only been refurbished on their interiors. Our building looked a little run-down on the outside, but it was pretty nice inside and perfect for what we needed. We got right to work exploring around us with a yummy shawarma dinner and walk to the beach to put our toes in the sand and water! So good. The sand was like walking through piles of flour- the softest I’ve ever felt. And, there was a playground right there, which the kids loved! We all put our toes in the salty water and got so excited for our new home by the beach. Brian took the first weekend off of work, so we could get set up with phones, a car, food, and other details that go along with moving to a new place. It was so nice to have him around! Because he’s traveled here so much, he already knew a lot about how to get around. And, because things are NEVER easy when you move, Tessa threw in what we thought was a broken arm on day 3. After two long trips to the ER, we were told it was just a contusion…phew! There is something about going to the hospital in a foreign country that just throws you right into the mix of things! Brian took us to the local Carmel Market on the first Friday we were there- which, turns out, is the worst day to go because its hours before Shabbat begins and it is totally nuts! We were shoulder-to-shoulder the entire time and it was super hot out. Little did I know, this place would become my main grocery store over the next couple of weeks and I soon realized that you do not ever venture there on a Friday! Despite all of that, we found the best place to grab a late lunch at M25 Meat Market, as recommended by Ottolenghi. I had the most interesting basil and cilantro Asian salad that I already cannot wait to go back and get again. It was all soooo good! The food here tastes super fresh and the combinations are always so interesting that it makes for the most delicious experience. This is the area we lived in at first, near Rothschild. See how run-down the buildings are? You’d never guess how nice (and how crazy expensive!!) they are. The next Saturday was district conference at BYU Jerusalem! 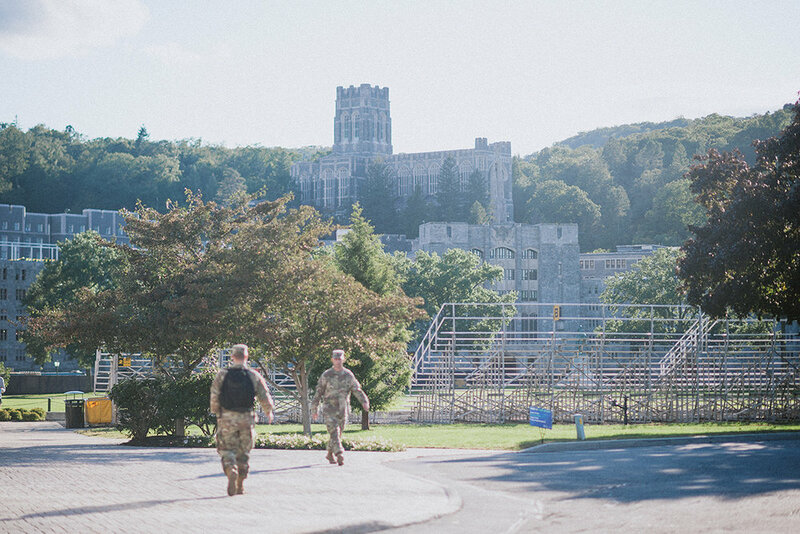 We were so looking forward to taking our kids here for the first time…the campus and the setting are so beautiful! We had a short women’s session that me and my girls got to go to and then they fed us the yummiest lasagna for lunch while we sat downstairs right off of the lawn. This place is seriously so special. Some shots overlooking the Old City. We made the most of our trip to Jerusalem and took the girls to explore after conference. We walked through the old market, grabbed dinner and some gummies, stopped at the Western Wall and ventured over to a view of the Garden of Gethsemane. I know we are going to make a lot of memories in this amazing place. After feeling extremely overwhelmed with the grocery situation here, Brian asked one of his coworkers, Hilla, to take us to the market and show us how/where to shop. I want to back up a little so I remember all of this though. The grocery stores in Tel Aviv are tiiiiny and the food is so different from what I’m used to back in the States. It’s hard to find good produce there and the stuff on the shelves is in a totally different language, along with looking mostly unfamiliar and being crazy expensive. To say the least, I was having anxiety about feeding a family of 6 under these conditions. I would have to ask for language help any time I went shopping and because the ingredients were so different, my meals would have to be very simple. In our first week, our branch president’s wife, Sarah, generously offered to take me to a huge, nice grocery store about 40 minutes north of the city one day. 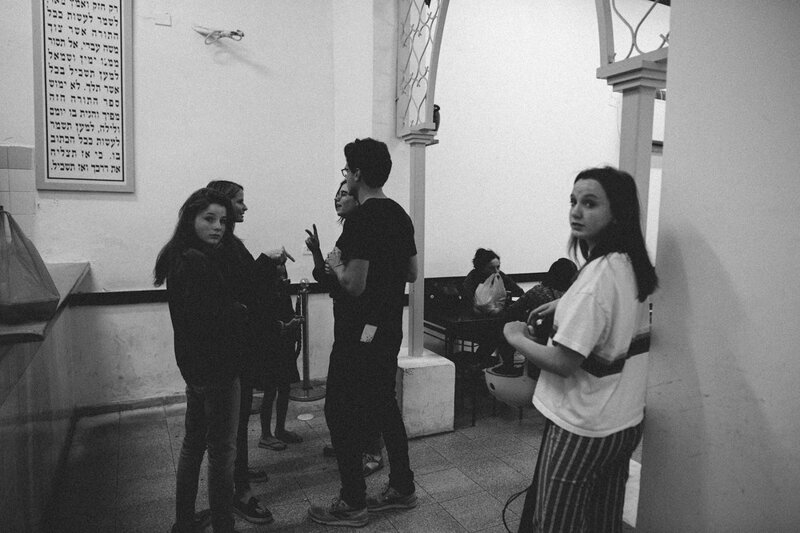 I was so grateful for her help- she literally spent the entire day showing me what was what and then took us to her home and to their beach (they live about 30 minutes north of us in a suburb) and then fed our family dinner! It was a massive help and I was so grateful. 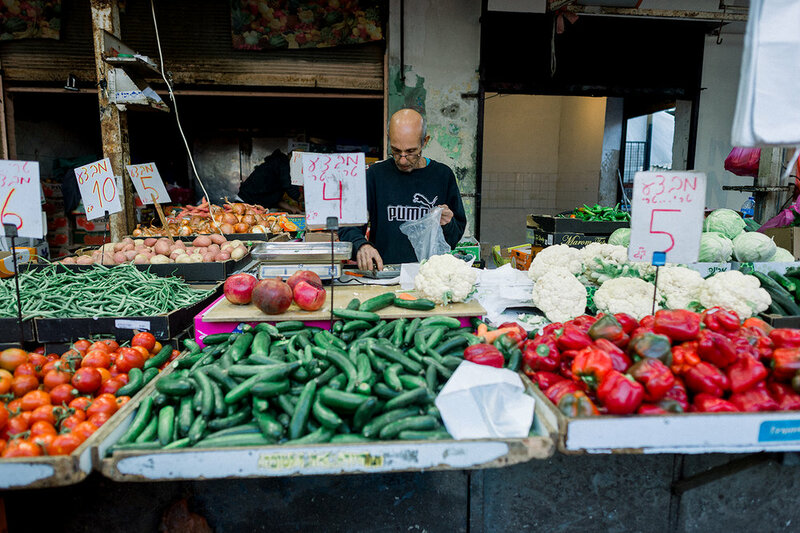 When Hilla heard about our grocery dilemma, she offered to show us the ropes here in Tel Aviv as well. She spent a couple of hours showing us her favorite places to buy chicken, beef (all from butchers that cut or grind up your meat right on the spot) and vegetables as well as flowers, fruit, cheese and bread. I realized how massive Carmel Market is and how much this place would help me save a ton of money and be the foundation for getting most of what I need. Ah, I cannot tell you how helpful this was! She took us to one of her favorite brunch spots at the end and we had one of the best breakfasts I’ve ever eaten…sweet potato topped with sautéed mushrooms, a fried egg, and chimichurri. Sounds crazy, but it was incredible! Hilla showing us how to find the best stuff and avoid getting overcharged. I’ve been back a bunch since and I totally feel like I’ve got this down for now. Although hauling a week’s worth of food to our home walking for 15 minutes is something I’d still like to solve- wow! 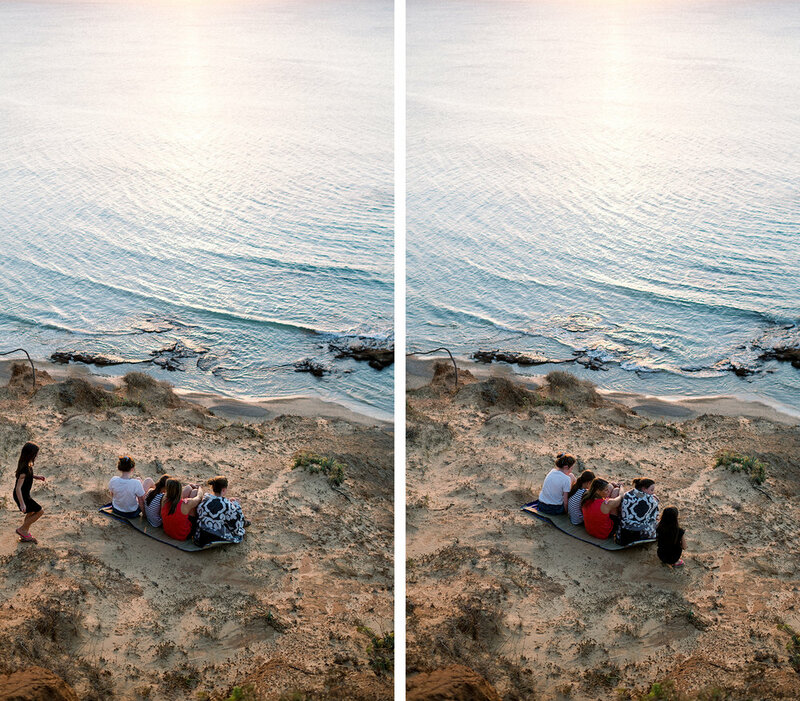 Brian took us to a nature reserve on a Sunday night and even though we could not for the life of us find the beach entrance, we watched the sun set from atop these gorgeous cliffs while listening to the water lap below us. 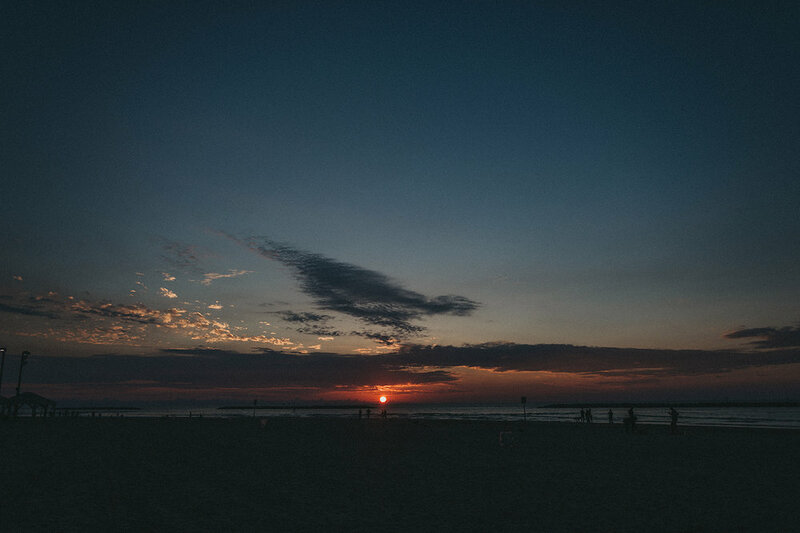 The sunsets here are unreal. We followed that by a trip to Ikea, which sounds crazy, but I have a new appreciation and love for that place! After about a week and a half of being here and working with a local realtor, we began to get nervous about actually finding a permanent place to live. We kept coming up short— stuff was either too small, too expensive or too far from work. Finally, something brand new popped up and I rushed to check it out one morning. After spending HOURS looking at places online, I was hopeful this would work out and not just because it was right on the beach ;) Brian wasn’t able to come, so I just took the little girls with me. I was so glad we held out because this apartment was like hitting the jackpot! It was perfect for us and I couldn’t wait to tell Brian! Because of homeschool, our schedules are very flexible. Which mostly means that we get to go to the beach every single day. The weather is unusually warm (in the 80’s), so we make sure we cool off in this beautiful water. There has been a lot of sand castle building and book reading (by me) going on too! Tessa was so nervous about leaving her floaties behind, but she has become the best little swimmer since being here. 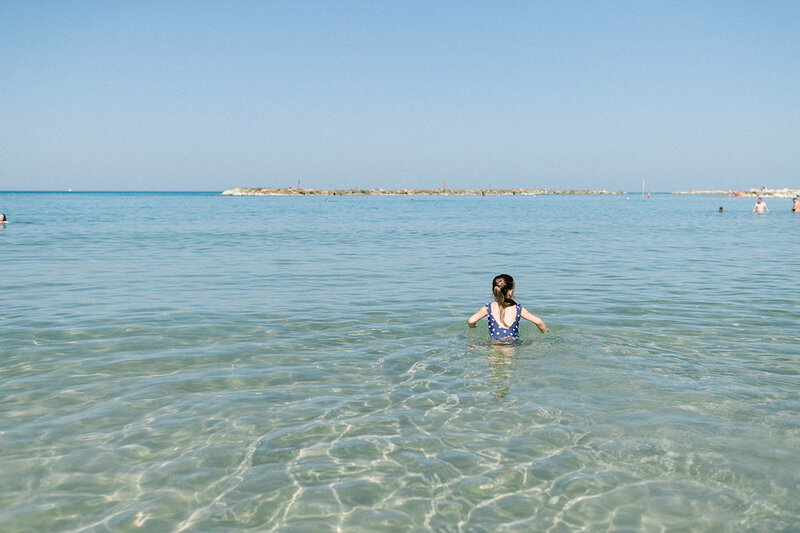 The sea is really shallow and the waves are small, so its kind of like a giant swimming pool- perfect for learning to swim well. While we all feel like we are getting into the groove of life here, there have definitely been some really tough parts. Its easy to gloss over it and just talk about whats great- which is a lot, but I want to remember all of it because its been so stretching. For one, you just cannot get everything you need at the stores. They don’t sell products I’m used to, so I modify a lot and only cook recipes that I know I can get ingredients for. 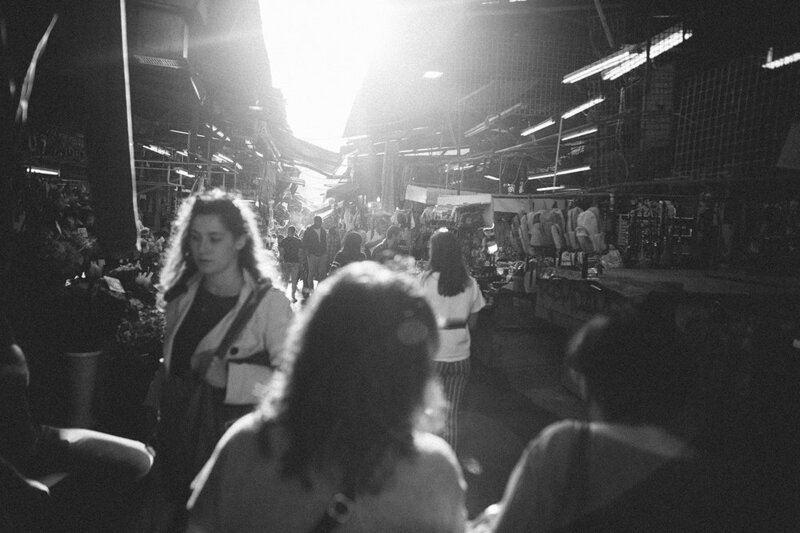 Another is the language barrier- English is not spoken on the streets or to me (until I ask if they know it and most of the time they do), which can feel really isolating most of the time. I hesitate to strike up conversations and even the depth can only go so far when there is that divide. 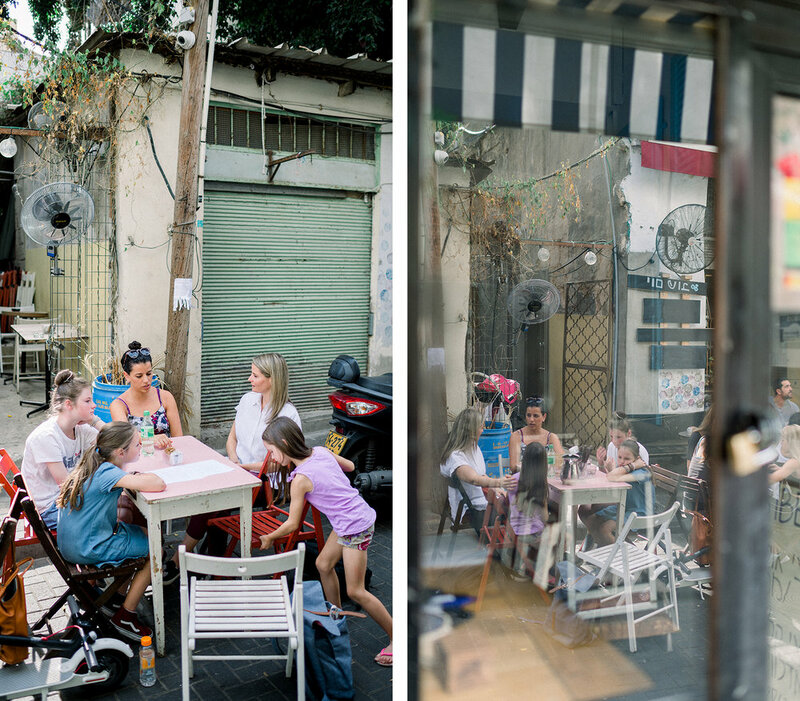 There aren’t people from our branch here in Tel Aviv (they mostly live in the suburbs) so we don’t have a lot of friends, and we spend every waking moment with just each other for company (which can be really really good and sometimes really bad). We feel really far from family- which is a big thing. It is often lonely. I’ve had some low moments (just keeping it real!) and I ask myself at least once per day what the heck we are doing here! But, I also really see the value in seeking the good in hard situations and the growth that happens when you’re constantly challenged. I already feel like my mind is getting sharper because I am navigating issues all of the time. 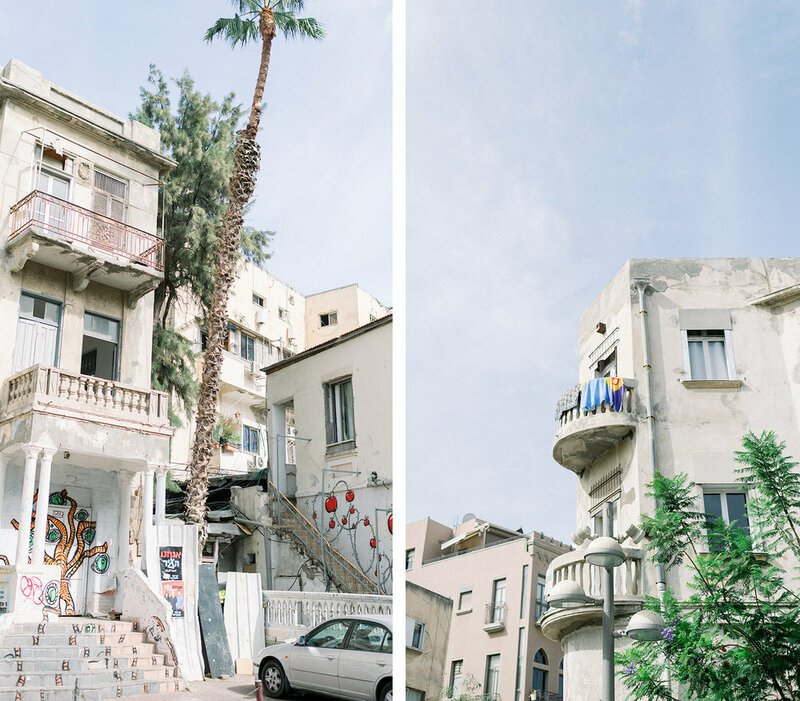 I love Tel Aviv, but it doesn’t feel like home yet. I know it will work its way into our hearts in a way that London and NYC have, but it hasn’t been without its challenges. I am grateful for this experience though, and I know it is going to continue to be life-changing for our family. A 10 hour layover in Turkey gave me a chance to hit the highlights of Istanbul. I don’t love visiting a country without doing much research before, but this quick tour was opportunistic. The Blue Mosque … massive, impressive, and being repaired. Scaffolding on site like these always hurts a bit but I did love walking around its gardens and eventually visiting the courtyards. The mosque was closed for most of the day (muslims only) and then opened to the public for a couple of hours. I appreciate the fact they let tourists in to visit something special and a place of worship. From my naive POV, the courtyard was much more beautiful. Inside was less impressive but more importantly an active worship site for muslims. Below is inside the Magia Sophia, a separate mosque directly east of the Blue Mosque. It was massive and also beautiful. It was a bit difficult to capture on my camera. It was so crowded, I would get bumped each time I pointed up to get a shot of the massive dome-shaped structures. What as most unique inside the mosque, were the chandeliers that hung low, connected by long chains that reached the top of the ceiling. The effect worked, making a massive structure feel a bit smaller and comfortable. Istanbul was beautiful but I will admit all the muslim countries are starting to feel more and more similar. Almost difficult to differentiate beyond the large and numerous mosques inside the city. After our week-long visa delay in NYC, we weren’t sure we would still be able to squeeze in a visit to London. But, Brian managed to pull it off and we got to visit one of our very favorite places in the entire world. Our huge van picked us up eeeearly in the morning at our hotel in NYC and we loaded our 30-plus bags in and headed to the airport for our flight. So excited to be visiting our old stomping grounds again, I don’t think anyone even minded getting up at 4:30 am. We landed late in the evening at Heathrow and Brian whizzed right through customs, but the rest of our passports got flagged because our old UK visas were never cancelled. So, we waited forever in the holding area while Brian grabbed bags and rushed to make it to a luggage storage store literally seconds before they closed. He barely made it, begged them to stay open until a porter was able to bring the rest of our stuff (he could only lug 2 bags with him), and safely got all of our luggage stored for our trip. We only brought our carry-ons into the city. We finally got to our hotel in Belgravia, where we crashed hard after a long day. DAY TWO: Freddie! Tessa and Freddie were in the same class at The Vestry Preschool in Maida Vale. They really loved each other and she has always talked about wanting to visit him again. Plus, they have some shared memories playing together at the park across from our our flat, so thats where we met up. 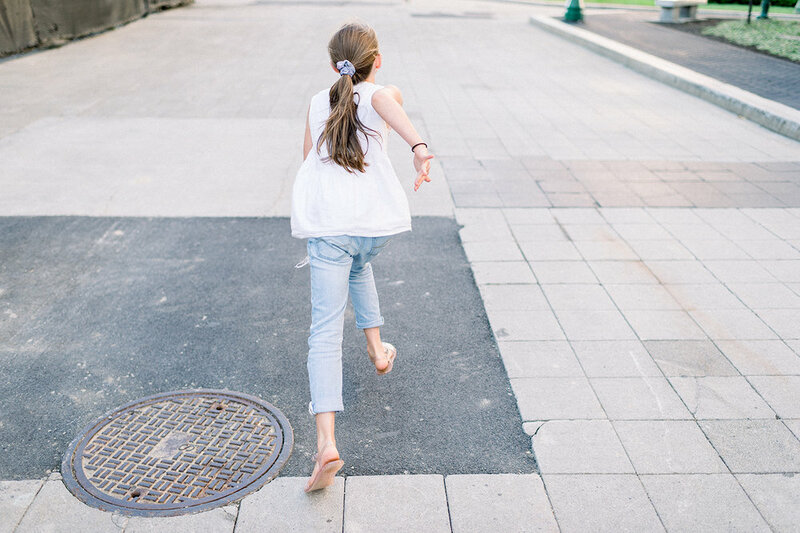 Tessa got to play with a dear friend and we got to go back to our legitimate favorite part of the city…St. John’s Wood! It was SO nostalgic and happy being back where we used to live! After getting off the tube in SJW, we excitedly pointed out all of the things we remembered and loved and even stopped to get some warm quarkinis at the Bread Shop on the way to St. John’s Wood Park to meet up. Once Tessa and Freddie spotted one another, they ran so fast and embraced for a full minute! It was the sweetest meeting of two little friends. They played while I caught up with Freddie’s mom and then we had to race off to meet Brian in Regent’s Park across the way. Brian’s phone had run out of batteries though, and we could not find him in the park. We didn’t know at the time that his phone wasn’t working, so we walked all over and ended up in Queen Mary’s Rose Garden, feet from where he was sitting on a bench waiting for us. We never saw each other though! Frustrated about not being able to connect, we headed off to eat dinner at Nando’s in Marylebone with just the 4 of us. Brian had to buy a charger, get his phone working again, and by the time we got ahold of each other, we were both headed back to our place for the night. Queen Mary’s Rose Garden is the best place to take a gorgeous walk. The roses were still blooming all over and the park was sooo green. It was stunning. We smelled the roses (literally), chose our favorites and relaxed on a bench there while the sun set. DAY THREE: Brian and I got up to do a long run in and around Kensington Gardens and Hyde Park. We trained for a marathon together on these paths and it was so nice to be back seeing so much of the same scenery after two years away. 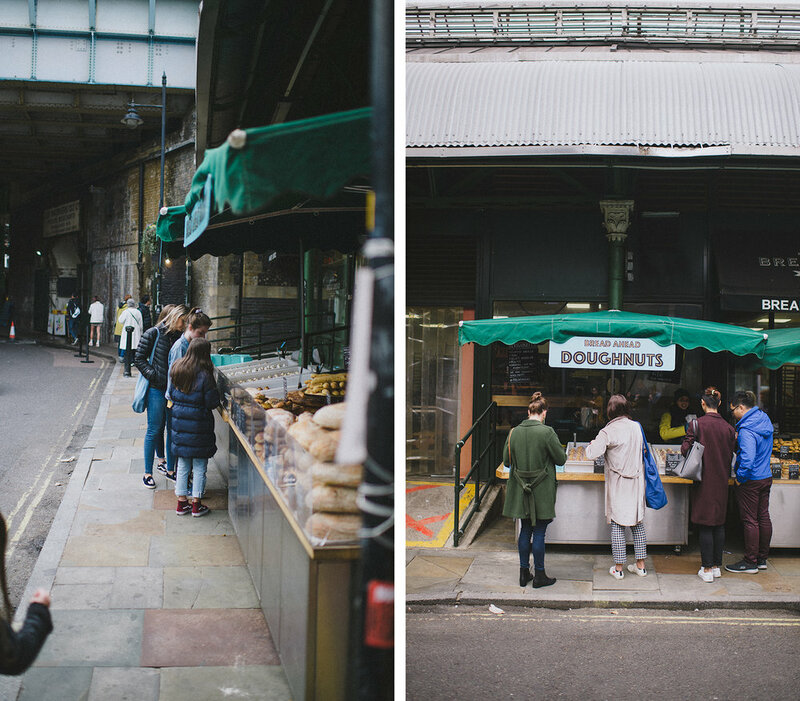 There were several times when we all made verbal lists of things we wanted to make sure and see and Borough Market was at the top of everyone’s. So many good, yummy memories! 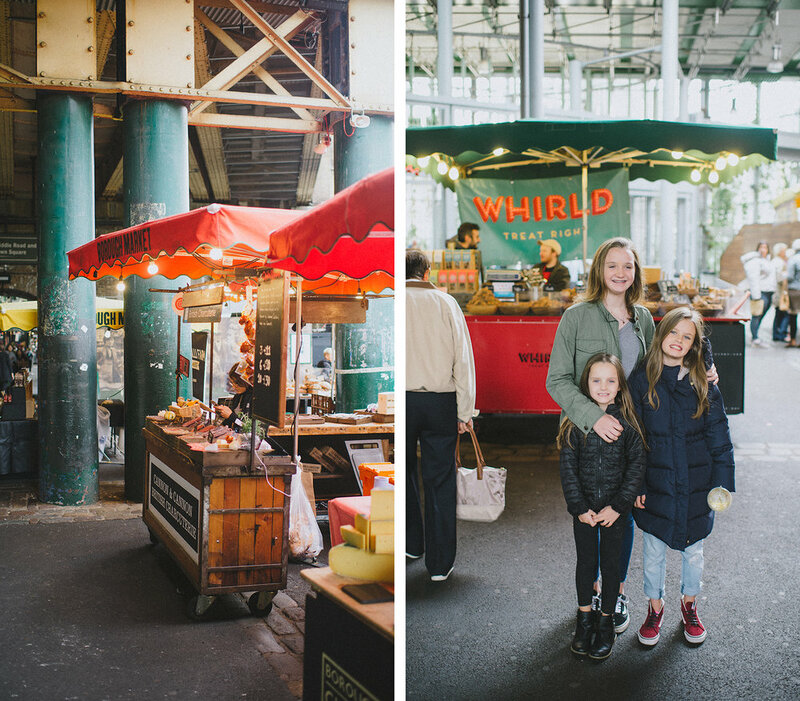 We explored our favorite market where we indulged in delicious custard-filled donuts and then hot ham and mozzarella sandwiches. We then walked over to the Tower Bridge, past the Tower of London and tubed to Big Ben (sadly, covered in scaffolding). We walked down Whitehall over to Trafalgar Square, where we hung out for a while just taking it in. This was always one of our favorite places in London and the weather today was amazing. So, we took advantage of just being outside in this glorious city. We made a quick stop in the National Portrait Gallery, where we split with Brian and Kate. They wanted to stay longer at the museum, and we wanted to take a bus from Trafalgar, through Piccadilly and Oxford Circus and down Regent Street (the best ride- and we even nabbed top deck front seats!). We got out at Notting Hill and I stopped at my favorite cafe in the entire world, Ottolenghi. That place is a-maz-ing. I got a medley of their unique salads, a dark chocolate cookie and a slice of their molten chocolate cake for Kate. We sat by the flower stand on the High Street while we all nibbled on my salads and ate the most delicious cookie of my life (sorry, Levain, Ottolenghi has you beat by a mile!). After that, we walked down Portobello Road admiring all of the shops and made our way to the famously adorable Biscuiteers shop, where we met back up again with Kate and Dad. We had a dinner with our friends, The Beesley’s, later that night, but we had some time to kill and the girls needed some “kid friendly” stuff after all of that walking. We found a nearby park, where they were able to play and run and climb. 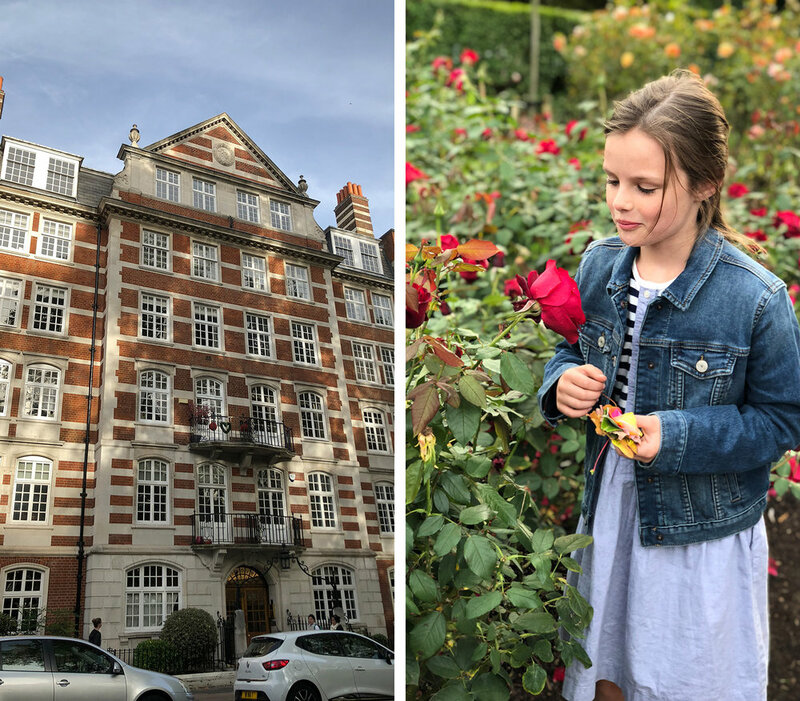 London has the best playgrounds and they’re surrounded by the most gorgeous neighborhoods. I could walk around this place all day long every day and never tire of it. We walked over to Nando’s to meet our friends and had another delicious dinner with them…it was so fun to see them again and to catch up on the last two years and hear about all that they had going on. DAY FIVE: Our last day in London was actually spent outside the city. 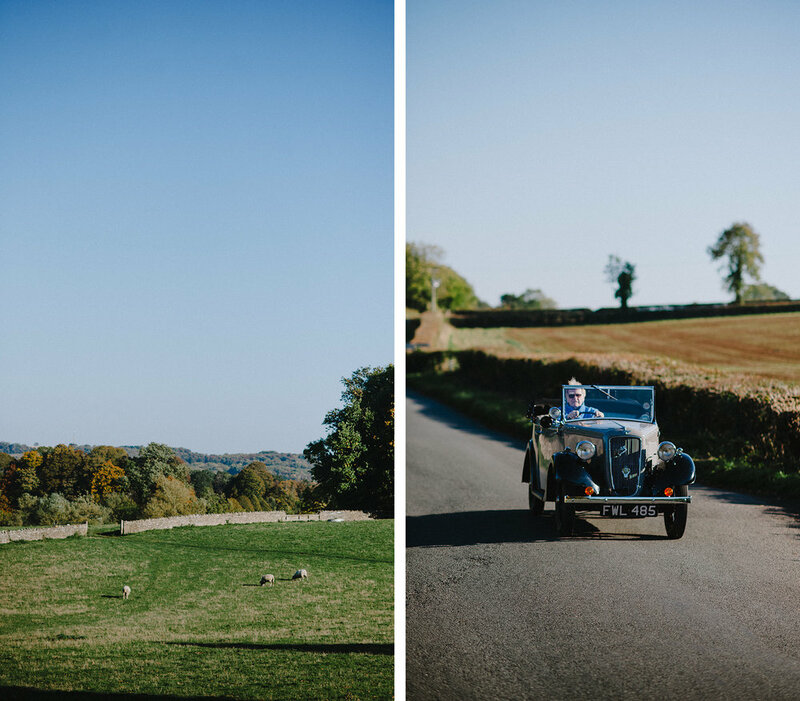 We rented a car and drove to the Cotswolds near Cambridge. We love this area and its a close drive from the city, so its justifiable on such a quick trip. It’s also one of the most gorgeous places on earth. ;) This day, the weather was unbelievable—a local even said it was the prettiest day he’d seen in the area in years. We drove to Stow-on-the Wold, parked our car and rented bikes for all 6 of us. We biked through Stow-on-the-Wold and over to the Upper and Lower Slaughters through the most gorgeous scenery. Man, this place is like nothing else. The quaint cottages, little streams, bridges, horses, green rolling hills and huge estates made this bike ride pretty unbelievable. In the Slaughters, there is this huge descending hill that ends in this water-covered pass. If you’re on a bike, you can bypass the water via a little side path, but these girls decided that wasn’t going to be good enough for them. They rode through as fast as they could and as many times as they could, getting pretty soaked by the end. It was the perfect sunny time of the day and we were totally alone out there. It was a pretty perfect moment with lots of laughs and memories. The weather, outside of that first rainy day, was perfect. We ate a lot of our favorite Hob Nobs, Digestives, and Cadbury Bars as well as a multitude of other delicious things. We walked a lot and saw a ton. This quick trip just re-confirmed what I already knew…London is such a magical place. There really is no better way to describe it. I thought I was over you, but I just don’t think I ever will be. We were so grateful to get to go back! A group of our good friends here in NYC headed over to Montauk for some truly legit beach camping over the first weekend in June. We stayed at Hither Hills campground for two nights and had the BEST time. I'm so glad we ended up going because we almost cancelled at the last minute. Brian was out of town and I came down with the absolute worst cold of my entire life- I felt so miserable and trying to pack a car and drive 4 young kids and set up camp by myself on the edge of Long Island over a weekend in NYC is a daunting task under perfect conditions (I am admittedly the most novice camper in the history of ever). When I told the kids I just didn't think I could manage it with how bad I felt, I could tell they were super bummed. I rallied the ounce of energy I had to mostly bark orders at my older kids to help me hurriedly pack our minimal camping gear in our rental car. We had purchased a pop-up tent from Costco, which pretty much saved us. No, actually, the other families that came with us and shared their food is really what saved us (read: me). We got to camp after dark and had a ton of help setting our stuff up and then hung out for a couple of hours while the kids shared scary stories and we cooked s'mores over the fire. We then blew up our air mattresses ("glampers" unite!) and fell to sleep quickly in our nylon home. It was supposed to rain the entire time we were there, but we woke up the next day to blue skies and high temps- opposite of what was supposed to happen! I am so glad the kids threw swimsuits in their bags because it was such a gorgeous day and the beach was so beautiful! I, however, had to go find a swimsuit at a store in town because I wasn't as smart. After I found something, I picked Brian up at the train station and we joined the group at the beach. These kids had so much fun playing on the sand and in the FREEZING water pretty much all day long, until a truly nasty storm rolled in late afternoon. We huddled in our tent and it only fell down once! It wasn't too hard to get it back up (I can say that because I wasn't the one outside getting soaked doing it...thanks, Brian!) and we hung out while the skies cleared about an hour later. You can see in the pictures below how bad the clouds got- it happened in literally seconds. Bright blue skies to total downpour. After the storm calmed, we drove out to a local grill and had an early dinner and then headed back to hang out some more. Today was Kate's 14th birthday, so we grabbed some cupcakes and everyone sang to her over a campfire. I hope thats a really fun birthday memory for her down the road. She has zero requests for birthday celebrations as she is sooo low-maintenance, but this was a great kick-off. We got up early (as you do when you're camping with kids) and had a delicious breakfast and then got all packed up and ready to head back home. But, first we stopped at the famous Montauk lighthouse at the "end of the world". We walked along the cliffs to the beach on the other side of the lighthouse. This group of kids has so much fun with each other. They could play for hours and there is zero drama. So fun to see our kids make such sweet friends. And, their parents are pretty awesome too! We stopped at the cutest candy store on the way out of Montauk and loaded up on the necessary chocolate and gummies. 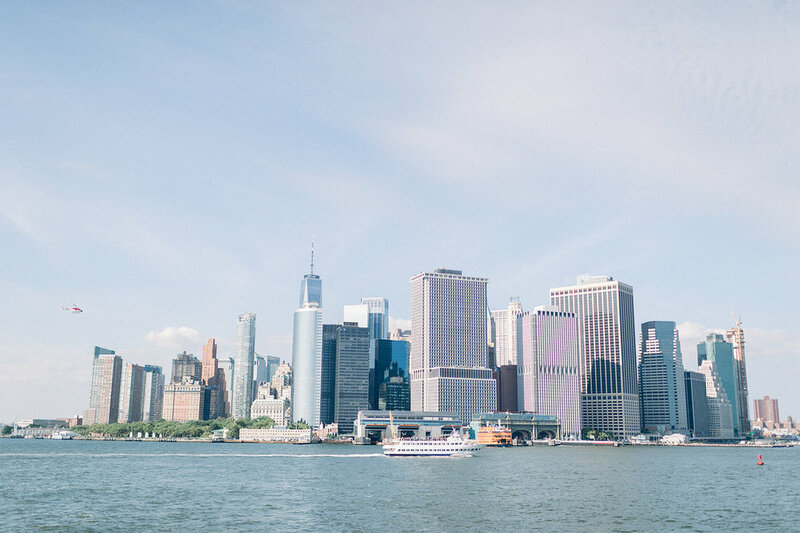 We grabbed pizza and then made our way through the Hamptons and over to NYC. This part of New York is simply gorgeous. The beaches are so nice and the homes are just something else. This weekend was so fun for all of us (so glad my kids forced me out the door) and we made so many lifelong memories that we will cherish forever. We have such a huge love for the friends we've made here and it was magical to spend time with them in such a beautiful part of New York. Is there anything better than the Alps? I'm not sure. I love spending time here. A couple weeks ago, I was in Munich, Germany for a board meeting. The girls were in UT, so I decided to add a few days to the trip. 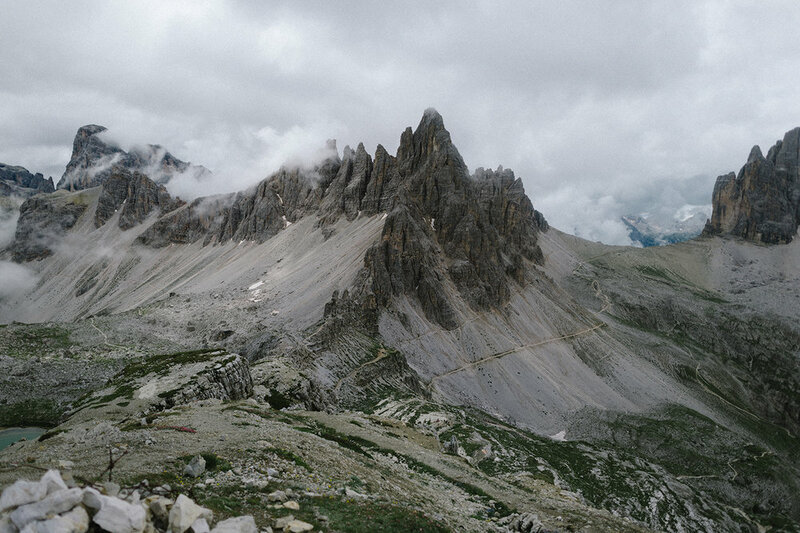 I headed south, through Austria, to hike a few trails in the Italian Alps. I only had time for a few Google searches in terms of where to stay and ultimately hike. Limiting the searched ended up providing a bit more serendipity into quick trip. Usually, we spend time planning. I typically have a picture already in my head of what I'll be seeing. After being steered in the right direction from a few locals, I ended up at Lago di Braies. A beautiful alpine lake, Braies is mostly secluded, except for the large hotel and parking lot on the north side. Once I arrived, it felt like the best place for a home base. And although the hotel listed wifi, it didn't work, which was perfect. I snuck these pics in before our first hike. It was about 5:30 in the morning. You would think I was the only one up at that hour desperate to get a good shot. What you don't see is the 20 other tourists behind me. By 9:00 AM, it was packed. 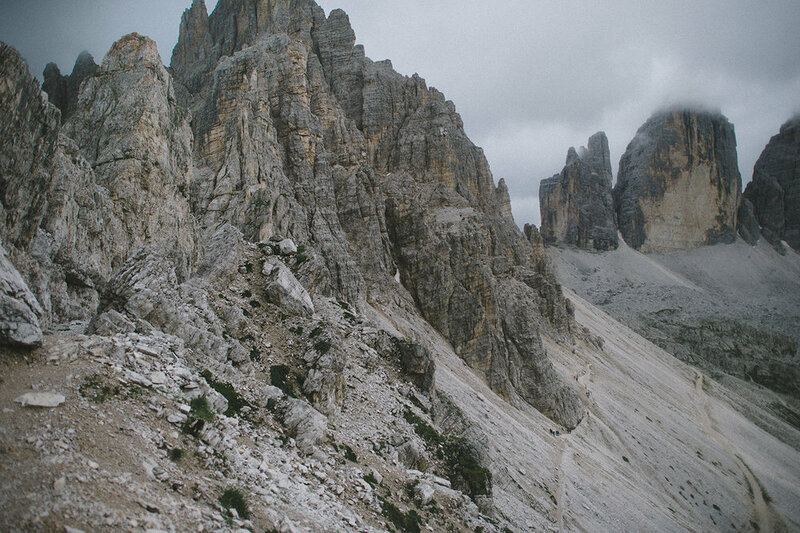 The first hike was about an hour south of lake, Tre Cime. I may have taken hundreds of pictures during the 9 hours of hiking. And despite the on/off raining and cloudy weather, the temperature was perfect. I didn't have my girls to photograph, so the cows and horses got shot. Back at the lake ... home base. A relaxing evening and dinner at the boat house. 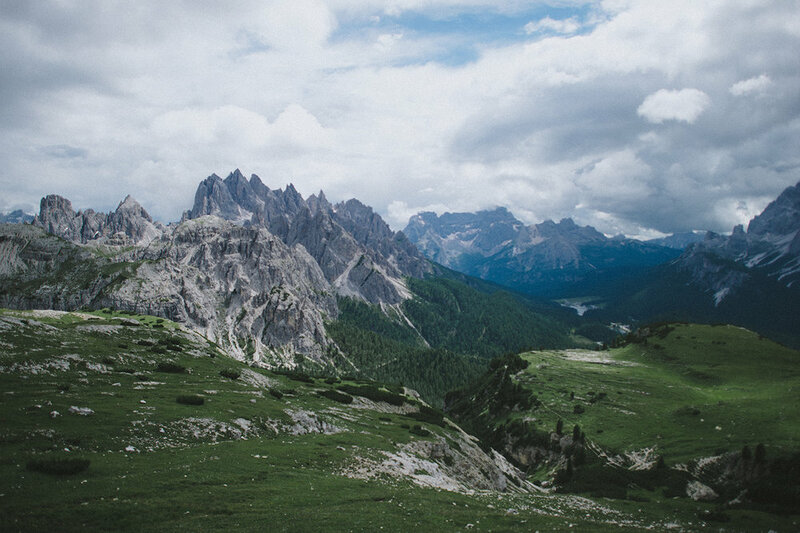 The next hike was on the other side of Cortina d'Ampezzo (Queen of the Dolomites), at Cinque Torri. There was an option to climb the mountain by way of tram, but I hiked up. This town was beautiful. Borca di Cadore is hard to describe. It feels Austrian but very much Italian. It appeared they were in the middle of some festival but apparently, it was just every day life. On the way back up to Munich, I stopped in Austria to repeat a hike the girls and I did a couple years back while we lived in London. These horses were super friendly--and much bigger than they look here. As for the Dolomites, we'll be back. Lauren and I are already planning her 12-year-old trip!